Oily hair is a problem of our scalp and is most time affiliated with overactive oil gland which is to the higher levels of hormones. Often gives of a Oily and greasy look. Washing hair to remove excess oil, dust and dirt which can make hair look dull, limp and lifeless. People who have fine, straight hair tend to have oilier hair. • Wash it as often as necessary to keep it clean , in good shape and oil free. • Use a gentle shampoo. Leave shampoo on the scalp for five minutes before rinsing! • Instead of daily try shampooing every second day. • Rinse on the off day. Rinse with cool water to close the pores of the scalp. • Between washes use hair fresheners to avoid bad smelling hair. • Try to avoid conditioner at the roots and scalp, apply in the middle or on the ends. Apply it gently with your fingertips. • Towel dry before you blow drying to remove most of the dampness. • Direct the blow-dryer to the hair strands and roots. • Try to avoid oil in your daily food intake. Eat more vegetables. • Avoid using styling products containing silicone. Do not use two-in-one shampoos and conditioners. • Avoid brushing your hair too often or too vigorously, since brushing can help spreading oil from your roots to the ends of your hair. We recommend the Mason Pearson Brushes to stimulate the scalp instead. • Have the hair colored or permanently waved. Color treated hair has enlarged strands and this can help reduce the oil from spreading through your hair. • Avoid frequently touching your hair. It is easy for many women to access and find their hair color in a variety of forms: whether its creams, tubes, gels, and in shampoos. After time most hair coloring does fade. The color will not be permanently changed if it is not the part of an oxidation chemical reaction. Fine textured hair can be damaged easily from coloring of the hair. The fine hair has less cuticle layers so the penetration of chemicals occurs faster. Coarse textured hair has more cuticle layers. This type of hair is more resistant to coloring. Coloring on any type of hair can damage it if the wrong level of peroxide is used or you are over-processing your hair. If you constantly change your color you must regularly use deep conditioning treatments. Over-processing is the main reason if your colored hair looks dull. One of the most important elements of hair coloring is determining your hairs’ underlying pigment. When you combine underlying color and artificial color in the right way you get the desired result. • Place a small amount of the color on your skin. • If there is allergic reaction, do not use the color. Suggested Treatments for Color damaged hair. Kerastase Reflection – The line specifically designed for sensitized, color-treated hair. Reflection lengthens the life and brilliance of color treatments while repairing the damage to your hair. It has been a long time saying that brushing your hair can prove to have several benefits for your hair beauty! 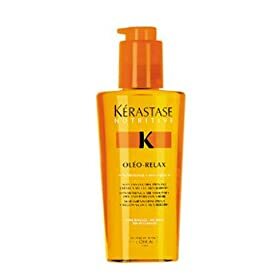 It actually massages the scalp, removes the loose scales accumulated on the scalp and distributes the sebum (oily substance) evenly through the hair. As a habit regular brushing with a ball-tipped bristle brush through to the scalp will stimulate the blood supply and promote healthy growth. On the other hand, over-brushing can make your hair greasy and may damage the hair and scalp. The type of the hair brush that we use is important in getting the right style and preventing damage. There are five types of brushes, each designed for a specific purpose. Brushing if done right can promote hair growth as well. It is the simplest brush to use but gives only the simplest of effects. It cleans the hair, stimulate the scalp increasing blood flow to the roots. No vents and easy to use. But it cannot provide enough tension so you will not be able to get the smoothness you want. The bristles are on one side only and form a slight half circle bend. They are best used on bob shape cuts and mid length hair. With this type of brush you will straighten the lengths and ends of your hair quick and easily. Very simple to use and popular with men.